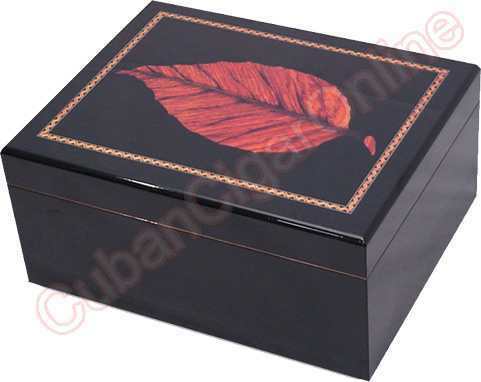 Gorgeous high lacquer finish black humidor with cigar leaf pattern. Interior all Spanish cedar with divider, hygrometer and humidifier. Capacity 75 – 100 cigars.